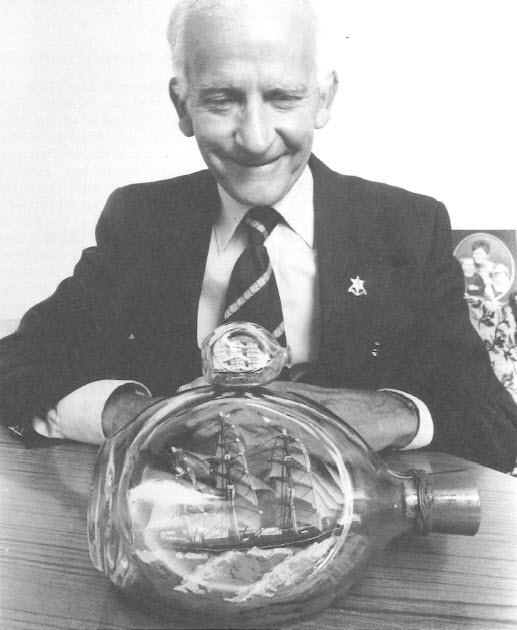 Jack Needham was a ship in bottle builder for more than 50 years. 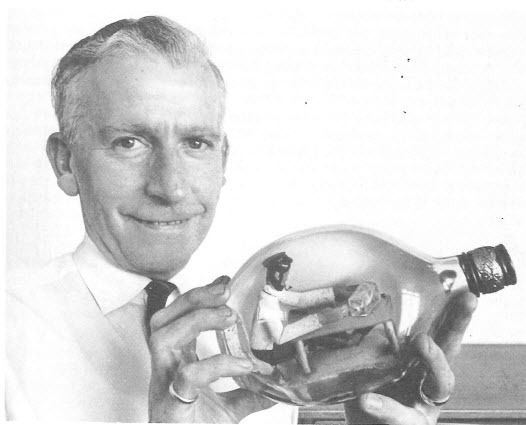 He was born in 1916 in Sheffield, England and began making ships in bottles at age 14. He was a printer by trade and some 50 years were spent in that business. He served for six yea rs in the Royal Navy during World War II seeing duty along the convoy routes of the North Atlantic and later in several actions in the Indian Ocean. 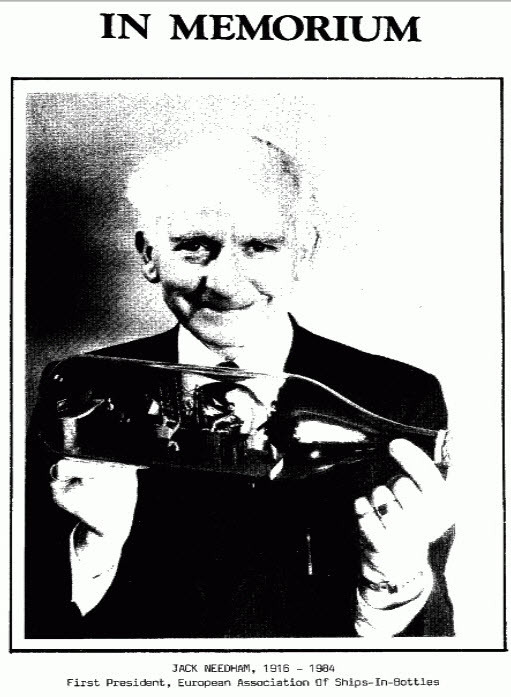 Around 1948 Jack resumed a rewarding pastime of putting ships in bottles a hobby. His models have been exhibited in London exhibitions and hundreds of craft fairs and there many examples of his works in museums in UK, America, Africa, France and Israel. After years of demonstrating this craft local shows he was invited by the daily express to display his craft and international boat show at Earls Court in January 1969 and in 1971 he exhibited at the Sheffield – City On The Move show at the Royal exchange London. 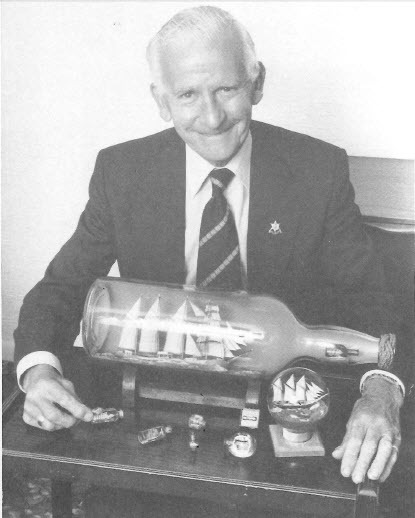 Jack served as the first President of the European Ship-in-Bottle Association. His initial venture as an author was the article in a class of its own which appeared in Do-It-Yourself magazine in February 1972, followed by his first book Modeling Ships in Bottles published the Patrick Stevens Ltd in September of that year. The first publication of this book appeared in UK and American editions and proved so popular that was subsequently translated into Spanish, Italian, Swedish, Dutch and German. In the book, Jack coined the word carfafology to describe the art of inserting models into bottles and carafologist for the one who performs this art. After retiring Jack spent his time replying to some 500 letters annually, model making, lecturing and exhibiting his work to both various local shows. 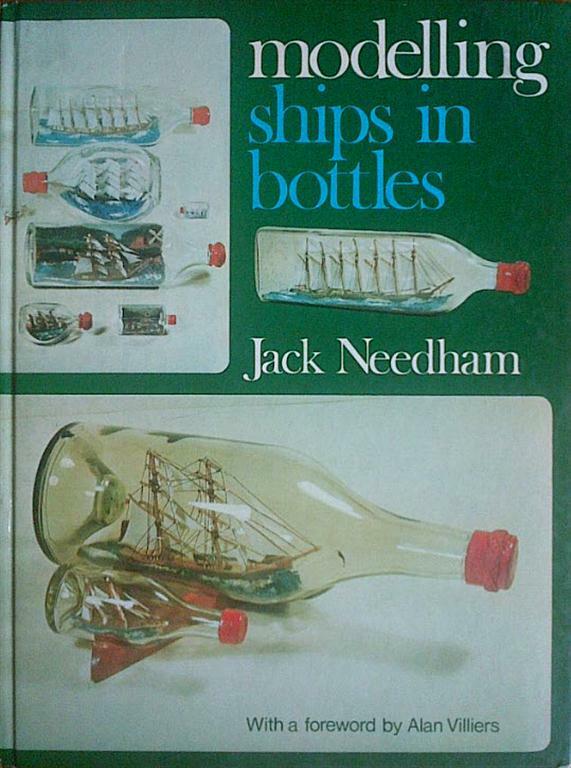 Jack Needham was a giant in the business of building bottled ships. 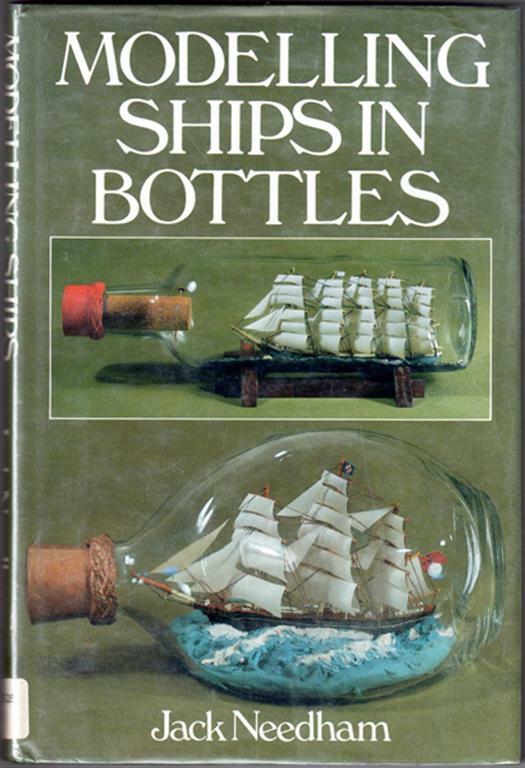 Many builders over the world owe their knowledge of this art to his book Modeling Ships in Bottles and his steady outpouring of letters to builders worldwide. Jack passed away on November 8, 1984.